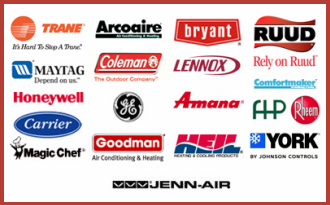 Air Supply Heating and Air Conditioning supplies full HVAC system services to the local commercial businesses and residential homes of Las Vegas, NV and surrounding areas. We are fully licensed and insured to protect our valued customers while giving fast, friendly and professional HVAC services. 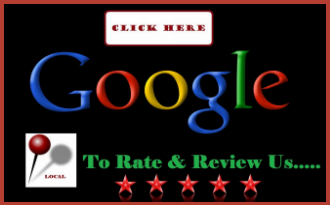 Air Supply Heating and Air Conditioning is locally owned and operated with experienced and highly trained technicians. 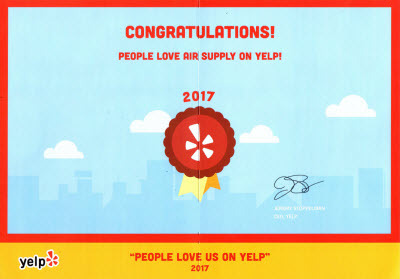 With the use of top-quality products and equipment exclusively offered to licensed professionals, Air Supply Heating and Air Conditioning experts are fully equipped to deliver premium results on all services rendered. Air Supply Heating and Air Conditioning caters to commercial businesses across the Las Vegas, NV Valley that are in need of a new air conditioner with our Commercial Air Conditioner Replacement Service. Commercial businesses that cater customers need to ensure that they and their staff are comfortable and cool during the scorching summer heated months. An air conditioning replacement needs to transpire quickly, while still obtaining a well balanced air conditioning unit of adequate size for your business, efficient energy consumption, operating cost, and exceptional cooling capabilities. With Air Supply Heating and Air Conditioning professionals, we can find you the right air conditioner for your business’s needs and your budget, and get installed quickly, efficiently, and competently. 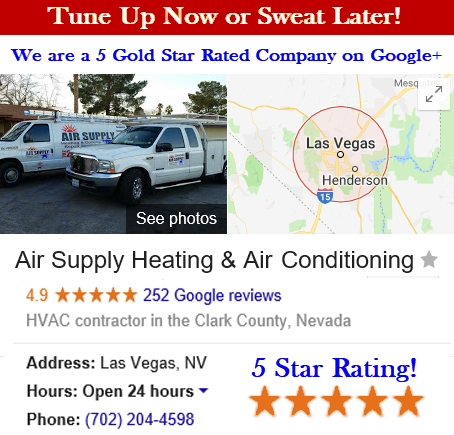 Some business owners throughout Greater Las Vegas, NV are uncertain if an air conditioner unit is just worth repairing or if they should invest in an air conditioning replacement service. Air Supply Heating and Air Conditioning has a check list for you to help you decide which is more optimal for your commercial space. –	1. The existing air conditioner is 10 years old or more. If you and any previous owners took excellent care of your air conditioning unit, including individual and professional maintenance, an air conditioning unit can last approximately 15 years. If your unit is over 10, it is time to consider the replacement factor. –	2. Insufficient energy conservation. If you have a significantly low SEER rating you are using more energy than needed, and should consider a replacement to help decrease your energy bills. Anything below 13 should be avoided at all costs. –	3. Major and expensive repairs are needed. If your unit is several years old and an unexpected major repair is required, investing in a replacement air conditioner for your commercial space is more than like a most optimal solution. Major repairs often mark the beginning of the end, and you will be faced with an ongoing battle. –	4. Excessive consecutive repairs. In many cases, when your commercial air conditioning unit manifests several repairs fairly close together, your unit is at the end of its life. Instead of fueling a never-ending cost, invest in a commercial air conditioner replacement. –	5. R 22 Freon is mandatory for unit. R 22 Freon is being discontinued by the federal government. Units requiring the R 22 Freon will need to replace their unit in the even their Freon levels become insufficient. Commercial Air Conditioning Replacement in Las Vegas Valley, Summerlin, North LV & Henderson Nevada. If your Greater Las Vegas, NV commercial business fits any of these criteria, take advantage of Air Supply Heating and Air Conditioning commercial air conditioning replacement service to get your air conditioner in full swing. Call us today to get started!